Researchers at Columbia University Medical Center in New York have been studying new methods for repairing this knee tissue, and have recently developed a way to use 3D-printed implants to replace torn or damaged meniscus. Jeremy Mao, DDS, Ph.D., the Columbia leader of this study, explained that there is currently not a lot that doctors can do to repair torn meniscus. “Some small tears can be sewn back in place, but larger tears have to be surgically removed. While removal helps reduce pain and swelling, it leaves the knee without the natural shock absorber between the femur and tibia, which greatly increases the risk of arthritis,” Mao said. To find new methods of repairing meniscus, the Columbia research team used a 3D-printer to produce an implant of a meniscus infused with two human growth proteins. These proteins help the body regenerate knee tissue by attracting existing stem cells and using them to create new tissue. They then tested these newly printed meniscus in sheep because the knees of sheep are very similar to those of humans. Sheep were broken up into different groups, and some were given an implant with the human growth proteins and others were given the implant without the proteins. They found that after 3 months of receiving the implant, the sheep who had received an implant infused with the two human growth proteins were able to walk normally. 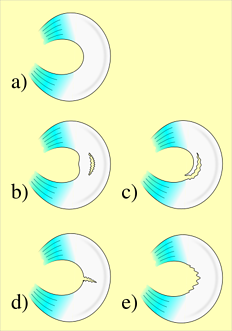 Furthermore, the tissue that regenerated with the help of the implant and proteins had similar structural and mechanical properties to natural meniscus. Further study needs to be undertaken to see if these regenerated tissues are long-lasting o short lived, but this current success in sheep leads to new possibilities in using 3D-printed implants in repairing torn tissues. Two National Institute of Health grants were used to help fund this project, one grant for $1.01 million, and a second for $547 thousand. Researchers at Columbia University received a four year $12.6 million grant from the NIH to study rare genetic variants that can either protect against or contribute to the risk of Alzheimer's disease. The National Institute of Allergy and Infectious Diseases awarded research lab scientists at Columbia University $6.3 million in research funding for Columbia’s Center for Research in Diagnostics and Discovery. The annual BioResearch Product Faire™ Event at Columbia University gives these well-funded New York area researchers the opportunity to find new lab supplies that will benefit their labs and research. Lab supply companies interested in marketing their products in the Columbia marketplace are encouraged to attend a BioResearch Product Faire™ Event in New York where they can meet face-to-face with researchers. 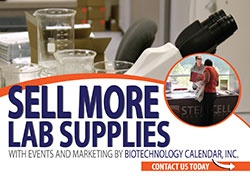 Due to the popularity of the Columbia event in the past, Biotechnology Calendar, Inc. will be holding two events at Columbia University in 2015, one in the spring and one in the fall. To learn more about participating in these events, either as an exhibitor or researcher, visit the appropriate link below. Other events in the New York region can be found by visiting the 2015 calendar of events for the Northeast region here.